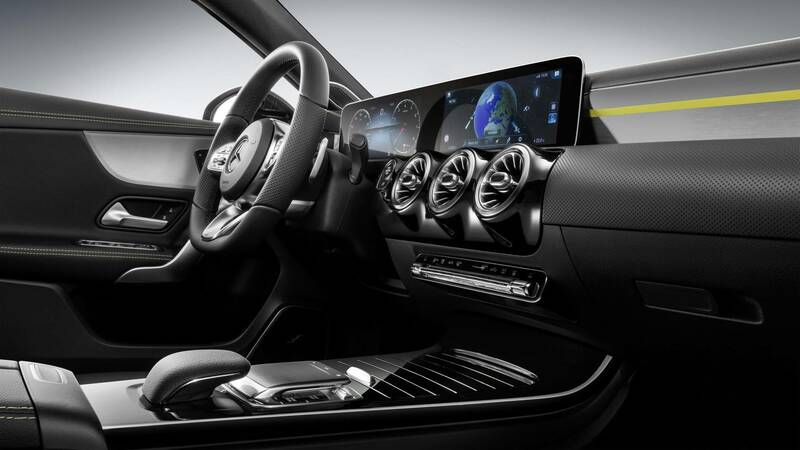 Images of the 2018 Mercedes-Benz A-Class interior have been released, showing off a much more up-market design and set of features. 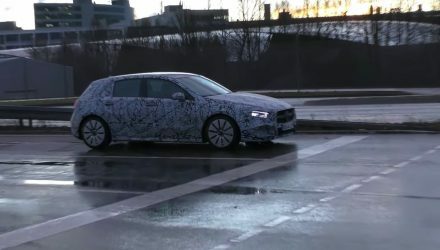 Mercedes says the next A-Class will offer a new feeling of spaciousness, with a unique architecture for the dash. 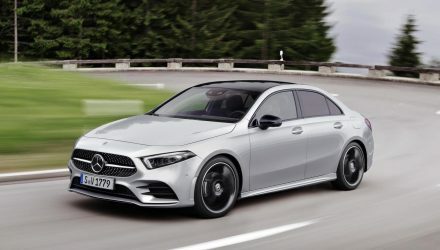 The company also says the new model will offer more utility value, with more interior space in all areas. Specifically, there’s 9mm more shoulder space in the front and 22mm in the rear, 35mm more elbow room in the front and 36mm in the rear, and 7mm and 8mm more headroom front and rear, respectively. Boot space is also up by 29L, to 370L, with a loading aperture that’s 20cm wider. As you can see by the images, the new model takes some inspiration from Mercedes’s larger vehicles, such as the E- and S-Class, with twin 10.25-inch LCD screens for the instrument cluster and media interface system, and a trio of unique circular air vents spread across the middle. Down below is an old-school-looking yet modern climate control panel. 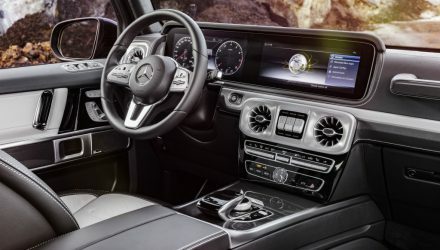 Mercedes says there will be three different front seat options, 60/40 or 40/20/40 split-folding rear seats, with 64 different ambient lighting colours to choose from. 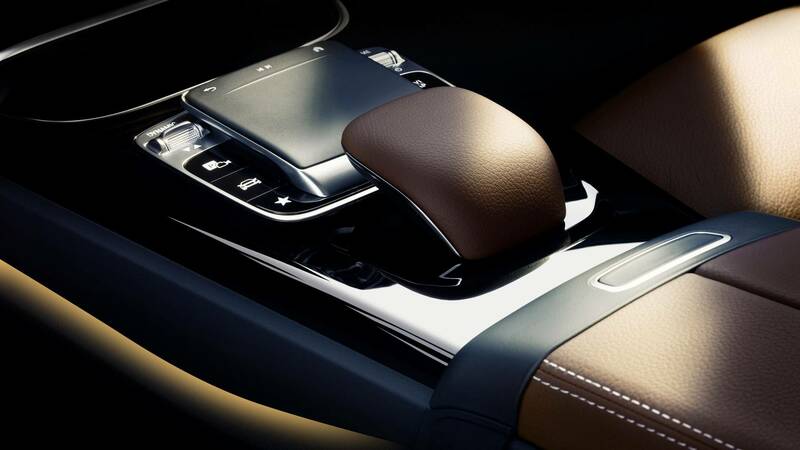 Plenty of other options such as trim colours and uber-luxuries are also in store. 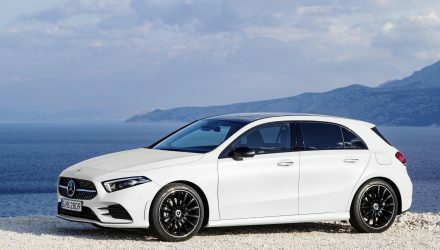 The company hasn’t mentioned anything about a full reveal but most anticipate more details to be released at the Detroit auto show in January or the Geneva show in March. There’s also a chance it will be revealed at next week’s LA auto show.